Use registration code sent to American Underground members. Use registration code sent to Durham Women in Tech (DWiT) members. Use registration code sent to Girl Develop It RDU members. Use registration code sent to Ladies that UX Durham (LTUX-DUR) members. 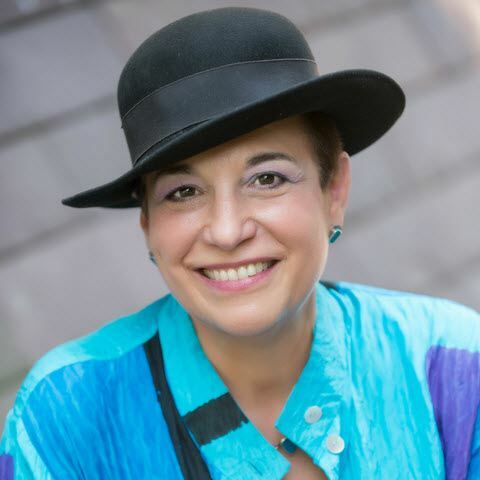 The Triangle UXPA, in partnership with Ladies that UX Durham, is proud to present distinguished author, speaker, and researcher Karen Holtzblatt. She is visiting us from the DC area for this important talk. 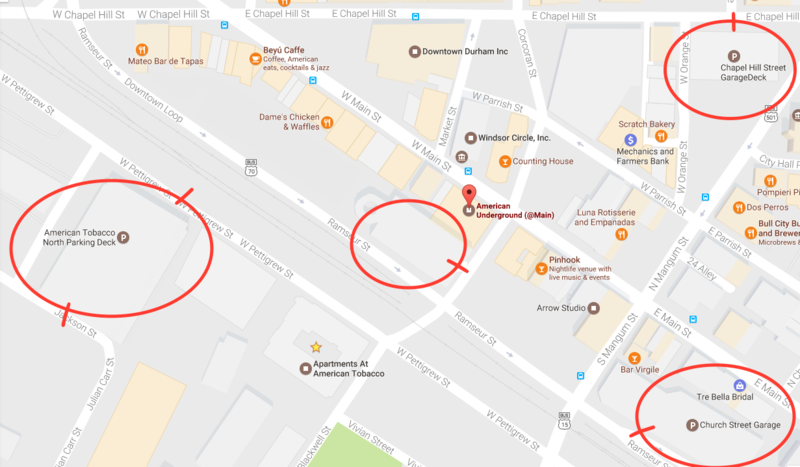 Note: This event is restricted to members of the Triangle UXPA, Ladies that UX Durham, Durham Women in Tech, and Girl Develop It RDU. Please join the Triangle UXPA, LTUX-DUR, DWiT, or Girl Develop It RDU to register. A registration code will be sent to LTUX-DUR, DWiT, and Girl Develop It RDU members. Everyone is encouraged to attend, regardless of gender. Karen Holtzblatt is CEO of InContext Design, thought leader, industry speaker, author and now Research Scientist at University of Maryland‘s iSchool. Karen is known in the UX world for developing Contextual Design and Contextual Inquiry, user-centered design techniques employed and taught by companies and universities world-wide. In recognition of her impact on the field, Karen was awarded ACM SIGCHI’s first Lifetime Award for Practice. Karen knows what it takes to be successful in the world of high tech and has proven her skills in persuading technology and business professionals to change how they approach user experience and product design. Karen has now turned her focus to the challenges women face in high tech companies to uncover why they leave mid-career at a rate 30% higher than men. Her research and resulting Women in Tech (WIT) Work-Life Framework describe the core factors in the work environment women need to achieve success. The WIT project draws upon volunteers across the industry to help with the research and creation of intervention techniques. Through field research with women currently working in multiple roles on product teams, managers, and those who have left tech jobs, the key factors affecting women’s work experience emerged. Using that data, a survey of over 200 people has validated those factors. The project is now gathering additional data, honing the survey into an instrument to measure the work environment, and developing intervention techniques. Karen is currently talking to groups of technology women and men to share the insights and stimulate action. At this talk Karen will present an overview of the Work-Life Framework and then engage the group in a discussion. Bring your experience, questions, and ideas and become part of the change process! Karen Holtzblatt is a thought leader, industry speaker, and author. As the visionary behind InContext's unique customer-centered design approach, Contextual Design, and the Women in Tech Project Karen's combination of technological and psychological expertise is one of the creative forces driving innovation in the tech industry. Recognized as a leader in requirements and design, Karen has pioneered transformative ideas and design approaches throughout her career. Karen developed Contextual Inquiry and Contextual Design now the industry standard for gathering and using field data to understand how technology impacts the way people work and live. When mobile devices utterly transformed the way technology is integrated into daily life, Karen initiated the Cool Project to explore users’ experiences and the impact of cool products. Her newest book, with her long time business partner Hugh Beyer, Contextual Design 2nd Edition Design for Life details the new techniques needed for product innovation today. In 2014 Karen launched the Women in Tech Project to understand the work experience of women in high technology companies in order to understand why women are leaving the field. Her research, started while at Stanford, and the resulting Work-Life Framework describes the core factors in the work environment that women need to achieve success. The project draws upon corporate and university volunteers across the industry to help with the work: field research, creating and validating a survey to measure work-life goodness, and identifying and trying out intervention games and guidelines for organizations. ACM SIGCHI (Special Interest Group on Computer-Human Interaction) – the international society for professionals, academics and students – has twice honored Karen. She was awarded membership to the CHI Academy and received the first Lifetime Award for Practice presented in recognition of her impact on the field. Karen co-founded InContext Design in 1992 with Hugh Beyer to use Contextual Design techniques to coach product teams and deliver market data and design solutions to businesses across multiple industries. Karen collaborates with many universities and is newly associated with University of Maryland’s iSchool as a Research Scientist working with students and on the Women in Tech Project. Karen has more than 25 years of teaching experience, professionally and in university settings. She holds a doctorate in applied psychology from the University of Toronto. 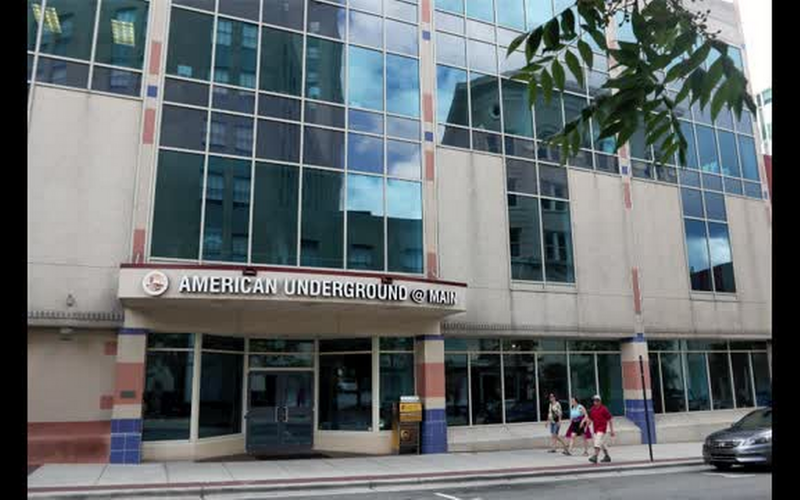 American Underground @Main is located in Downtown Durham at 201 W Main St. The main entrance is on Main street, as shown in this picture. Someone will be standing outside to let you in!